The Natalie occasional chair in white is whimsical, inviting and will add comfortable outdoor seating anywhere you like. Made with durable materials that are perfect for indoors or outdoors. The fun circular shape will add personality to your relaxing space. 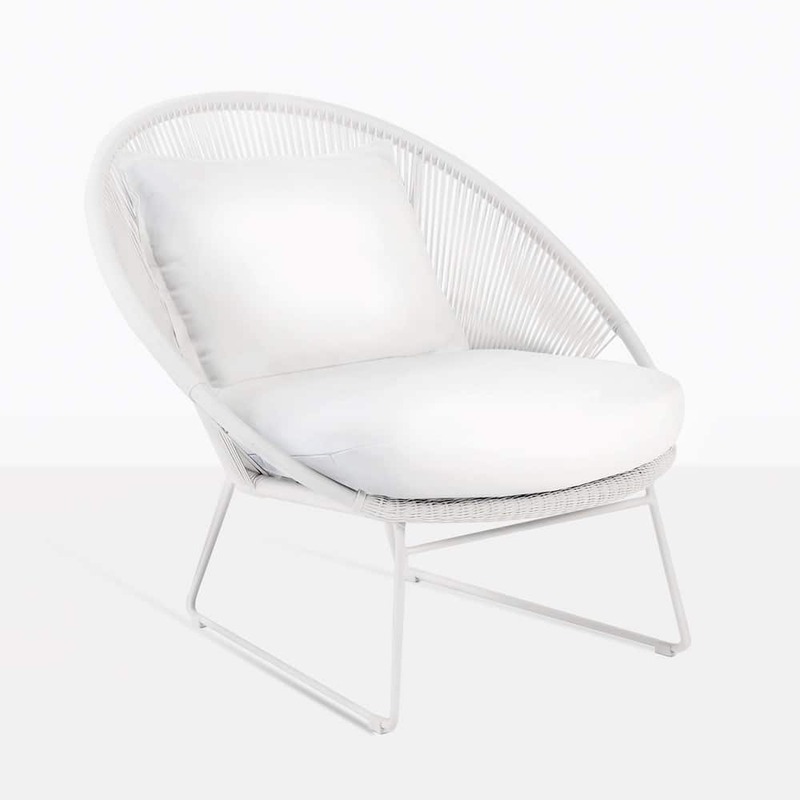 The Natalie occasional chair is available in four different colours. The white Natalie chair as shown, comes with two white Sunbrella® cushions. The seat is deep and the cushion is plush for optimal relaxing. 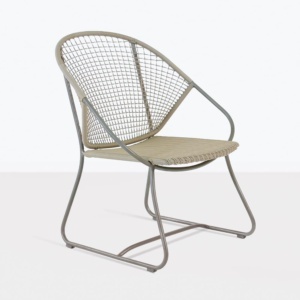 The chair is constructed with Ecolene® Outdoor Weave, powder coated aluminium and powder coated steel. The Ecelene® outdoor weave is expertly wrapped around the frame. The lines and angles of the weave make for a stunning design as well as durable. 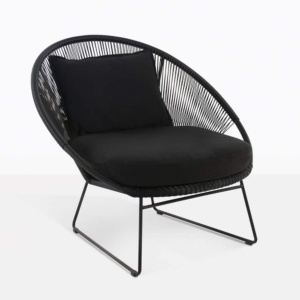 We have lots of relaxing and occasional chairs to choose from here at Design Warehouse. Call us today and we will be happy to help you create an outdoor space that is both stylish and relaxing.